- Black Coffee, Walnuts, Cream, low-Spice..
All cigars are in cello, padded, and sealed in reusable poly bag with Humi Pak for protection and freshness. My favorite highlight of this pack is the Farmers blend. I ordered this sampler pack from Paul about 2 weeks ago. I have a mutual cigar exchange with a few fellas at my work and a lot of our findings about what we like cone from these sampler packs. 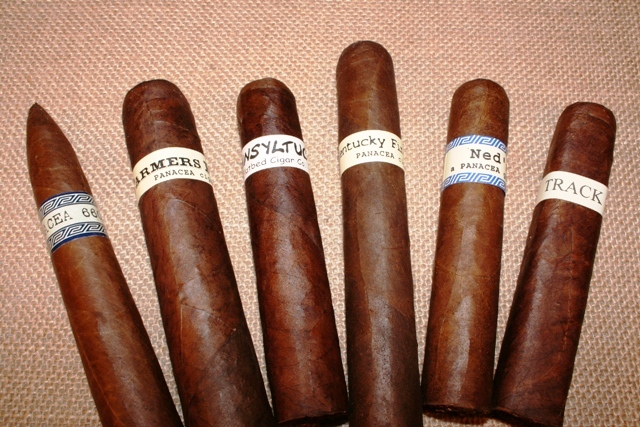 I liked all the cigars in this sampler so much I give it five stars and placed another order for the same sampler to share with the guys at work.